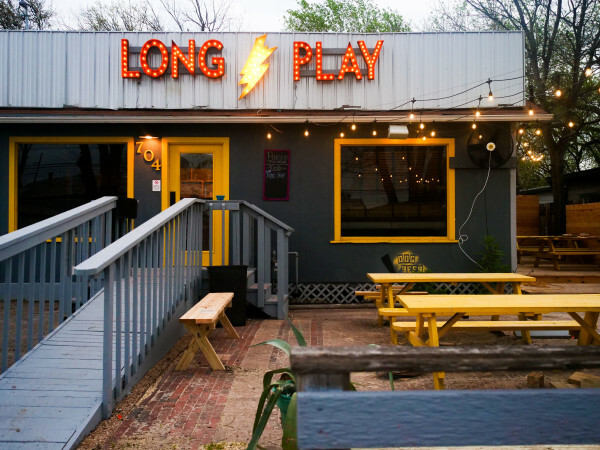 Austin diners are always on the hunt for the next hip restaurant or latest food trend. For cocktail enthusiasts, it gets a bit more complicated. 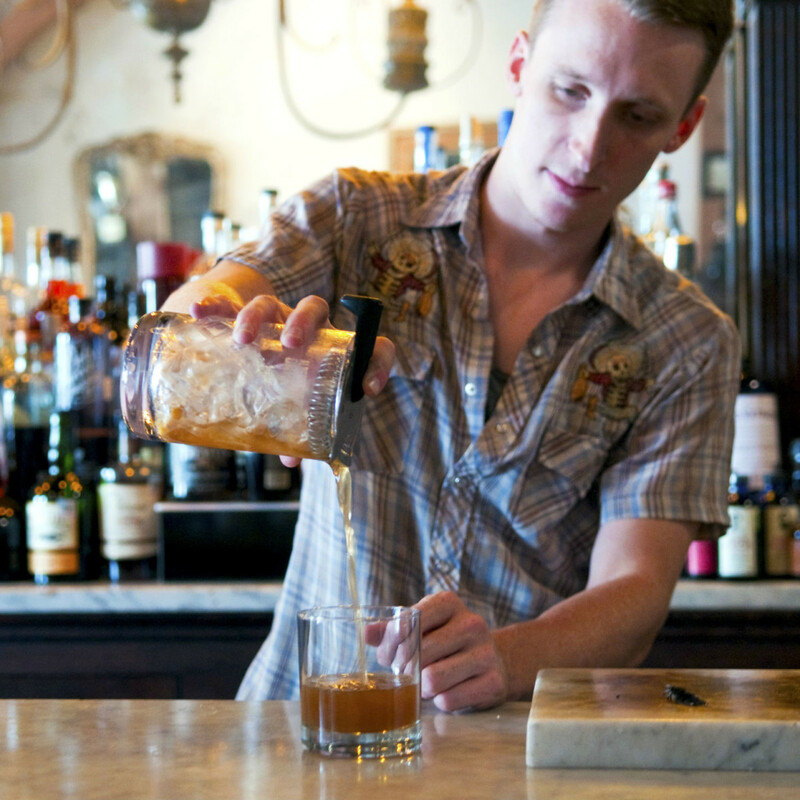 Bartenders value the balance between honoring the classics and exploring modern approaches. Some techniques are more successful than others resulting in “new classics” like The Penicillin and Paper Plane. Others are considered downright tacky and fizzle out swiftly. Nevertheless, the curious that seek out-of-the-box cocktail options will enjoy these two lesser-known techniques found in Austin bars. 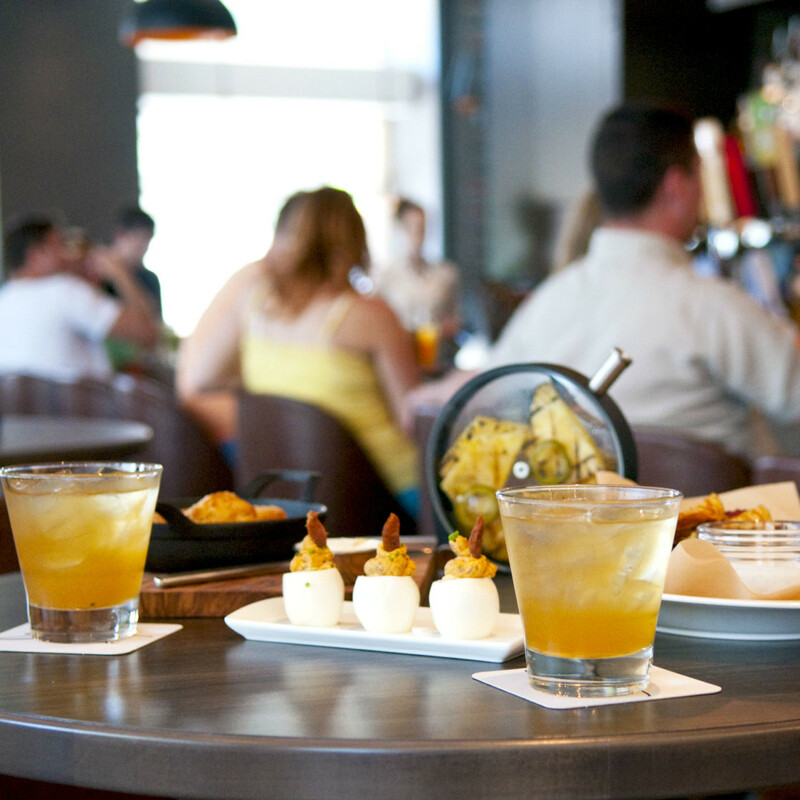 Stella San Jac at the new Westin Austin Downtown softly unveiled its bar and restaurant earlier this month. 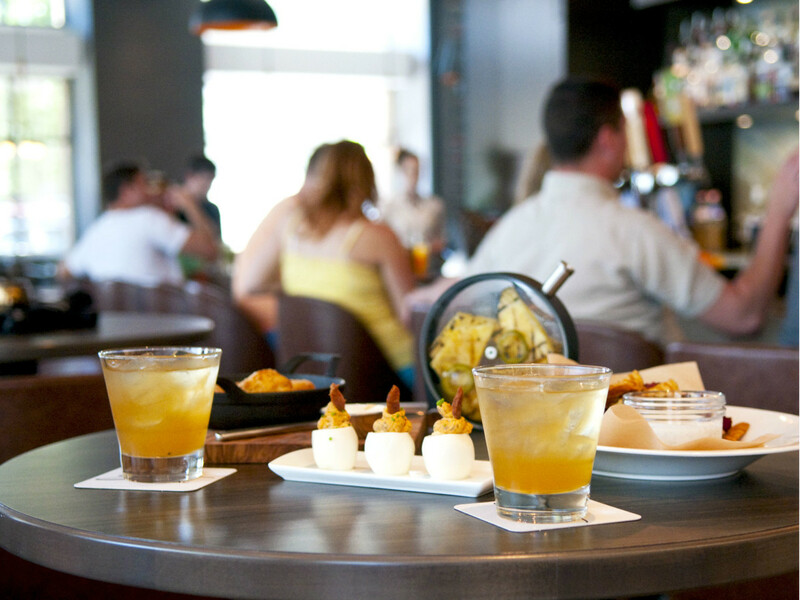 The bar features a fitting list of Texas-inspired cocktails to pair with the food menu that’s grounded by must-try biscuits (with bacon fat), deviled eggs with andouille sausage and other elevated Southern favorites. 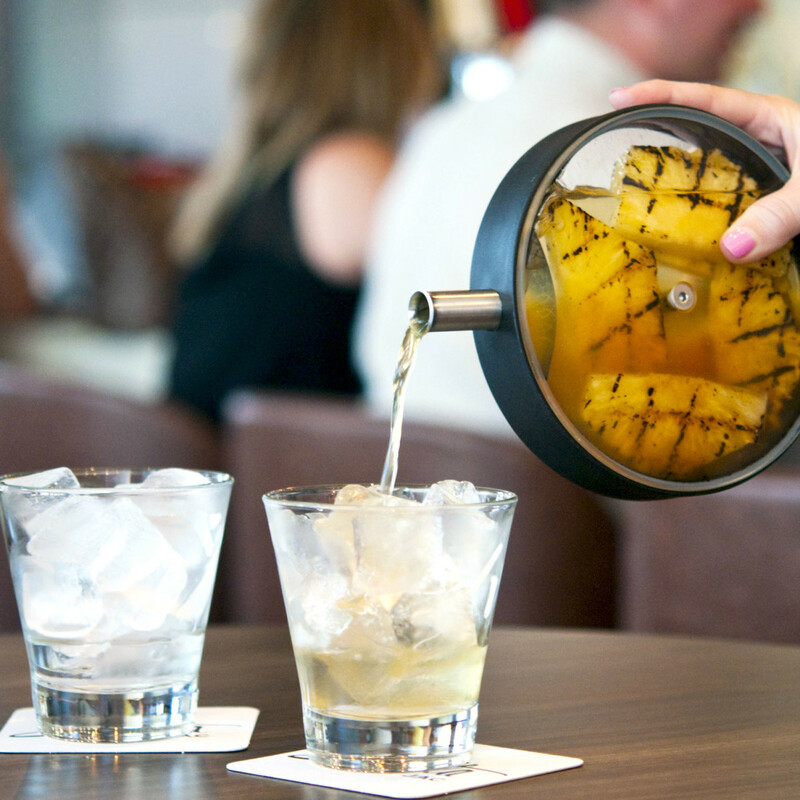 Porthole-infused cocktails are tucked in the middle of the drink list. This post-modern method was first made popular at The Aviary in Chicago. 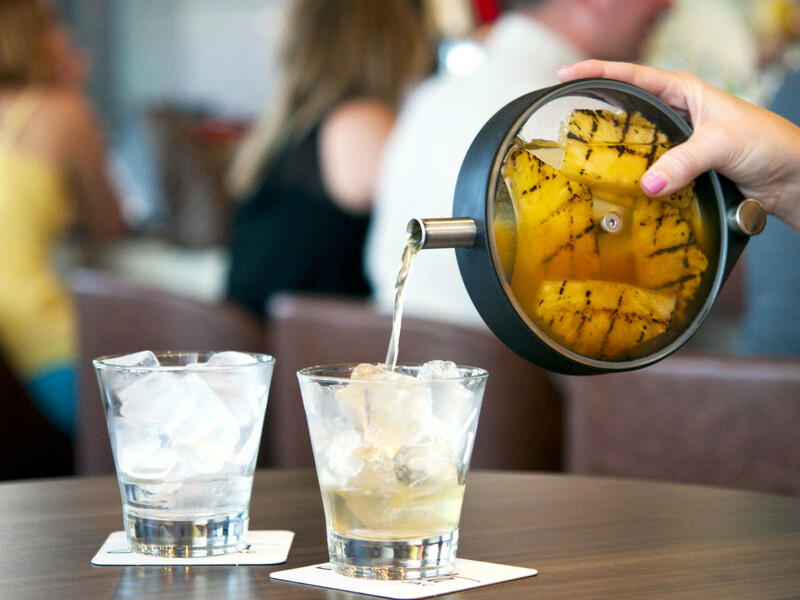 In 2011, Grant Achatz used the original version of the porthole to infuse ingredients into liquor, oils, syrups and teas. The ingredients, sandwiched between two circular panes of glass, create a translucent stained glass effect, like looking through a ship's cabin window. Crucial Detail, creator of the porthole, has since launched improved versions that Stella San Jac uses at the bar. 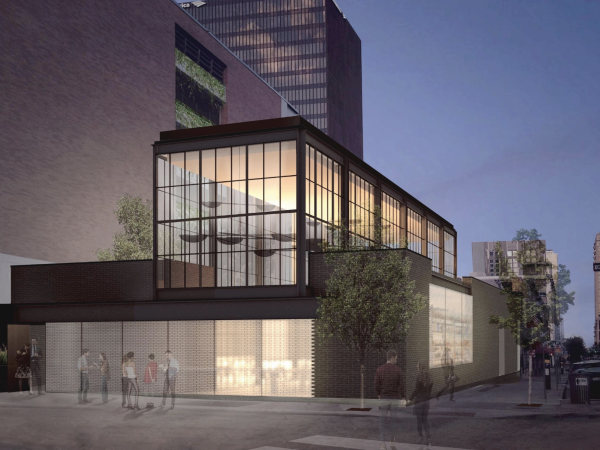 Restaurant Manager Ellery Cardone is in charge of the bar program, including the porthole-infuser project. The entire team, including the front and back of house, is encouraged to take portholes home to experiment with concoctions. They discovered that some ingredients hold up better than others. Soft herbs and citrus rind, for example, go bad quickly. The goal is to offer a different flavor combination each evening to keep things fresh. Stella San Jac doles out 10 portholes guests can serve themselves at the table. The communal and interactive nature is reminiscent of punch, but much more stylish. Each porthole serves about four to six cocktails, depending on the ingredients. Recent combinations include tequila infused with grilled pineapple and jalapeño, which is wonderfully refreshing over ice, as well as lemon vodka with apples and blueberry, apricot thyme sangria, and peanut butter and jelly (kid you not). 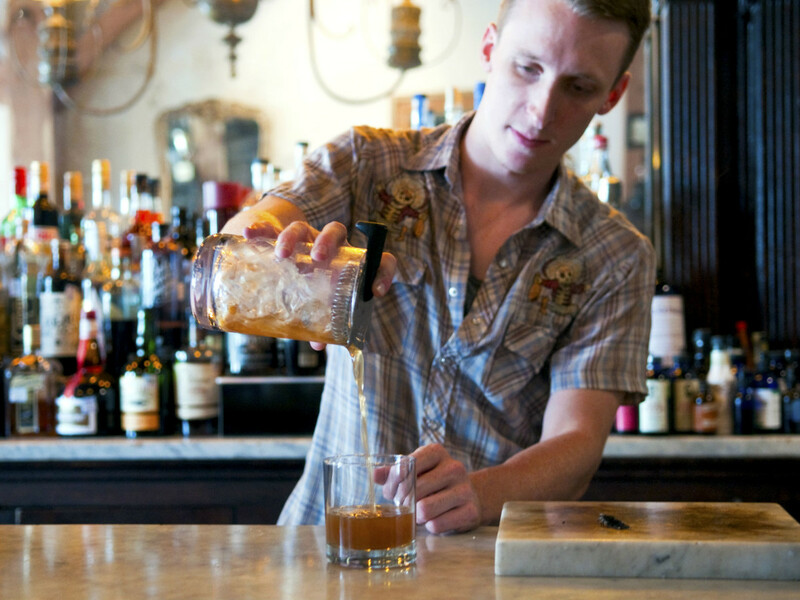 Another joint showcasing Texan flavors in a more down-to-earth but creative way is Freedmen’s Bar. This lounge and barbecue restaurant takes full advantage of its smokers for all sorts of items beyond meat, from beets and cheddar to banana pudding. Naturally, where there’s smoked eats there's also smoked drinks. Here, the bar team led by Harrison Arth revamps the cocktail menu every quarter to reflect the season. Two staples that fully utilize the vastness of smoke are the Ol’ Schmokey and Smokin’ Cactus. Inspired by the Old Fashioned, Ol' Schmokey is a bourbon-forward sipper that integrates smoke in three ways. Arth begins by smoking whole oranges in the smoker. At the bar, he torches a splint of firewood. Once it smolders, he traps the smoke in the rocks glass until the embers die. Meanwhile, he muddles smoked orange slices in the mixing glass with sugar and tops it with ice, Old Forester bourbon and a dash of smoked pecan bitters. 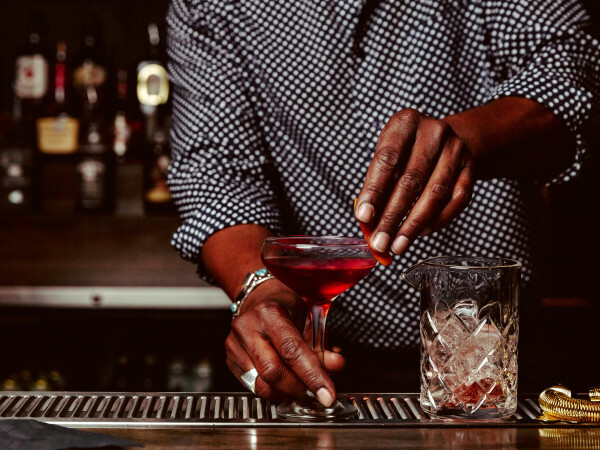 Once stirred until chilled, he flips the rocks glass over, drops in a large ice cube, pours the cocktail in and garnishes with a maraschino cherry. The thin white streams of smoke waft out to lend subtle smoke on the nose, complemented by the subdued fruitiness of the orange. The Smokin’ Cactus also integrates three smoked elements. First, they smoke batches of sea salt and jalapeños. Arth then infuses the peppers into agave syrup. 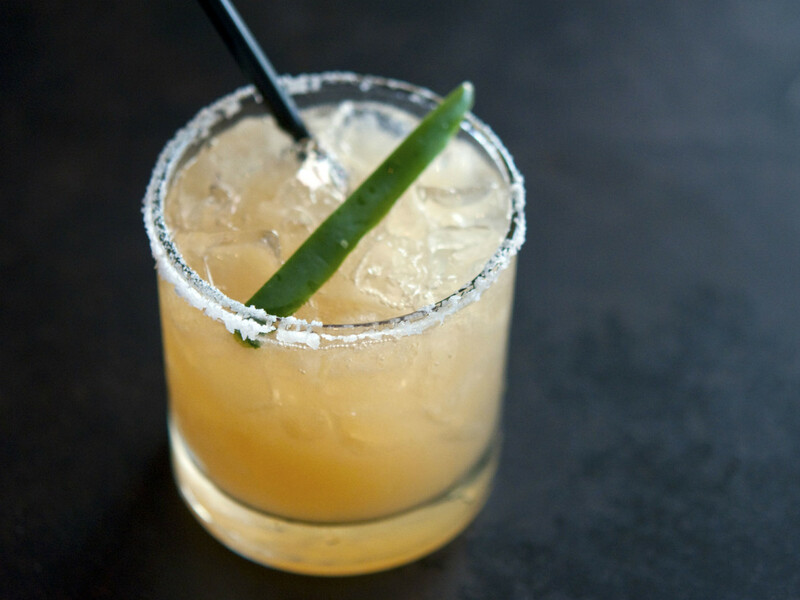 To finish the drink, he shakes Xicaru mezcal with grapefruit juice, lime juice and jalapeño-infused agave syrup, and strains it into the smoked sea-salt rimmed glass. 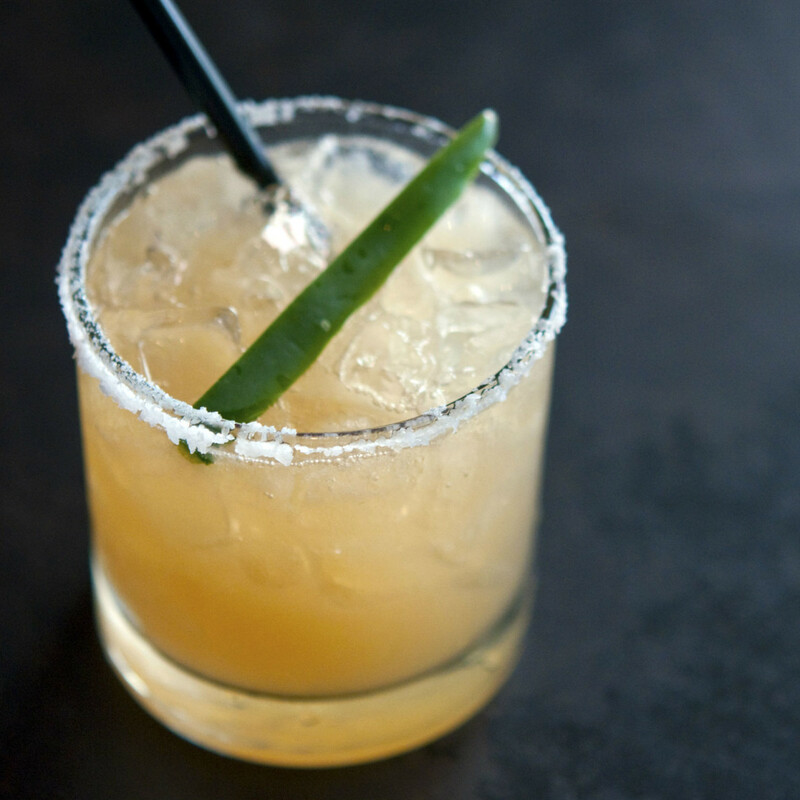 This margarita-esque drink is one of the best sellers, without surprise. Needless to say, both of these smoked cocktails pair perfectly with Freedmen's slow-smoked meats and playful sides.